Jane Edmonds, a self-described liberal Democrat, was Governor Romney's Secretary of Workforce Development. She supports the Republican candidate. Boston, Massachusetts (CNN) – Mitt Romney was the Republican governor of a state that, more often than not, leans Democrat. So what can his time as governor tell us about how he would lead as a president? It depends on who you speak with. 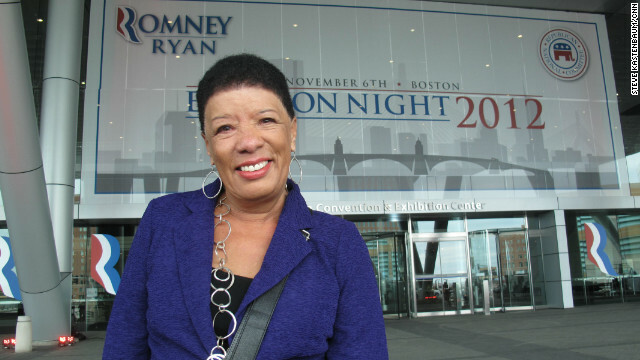 Jane Edmonds, a self-described liberal Democrat, was Romney's Secretary of Workforce Development. Other Democrats in Massachusetts, like State Senator Karen Spilka, has a different view of the former governor. She says he had a top down leadership style. Mitt Romney is best known for bring universal health insurance coverage to the state. He’s also remembered for cutting funds to many local community programs as he tried to close a budget deficit. At its height, is approval rating was 66 percent. When he left office, it was down to 39 percent.